Over the course of Easter weekend, a little movie called Batman v Superman: Dawn of Justice opened and took over the damn world. The Zack Snyder-directed film raked in more than $400 million worldwide, breaking records in the process. That said, not everything is all sunshine and roses, as critical reviews have not been kind, and even the audience score is lower than hoped for. Dawn of Justice even broke one record that could be indicative of big issues for its long-term box office prospects: it experienced the largest Friday-to-Sunday drop off of any superhero movie. Obviously this doesn’t mean that Batman v Superman: Dawn of Justice is a failure, far from it. The film has already earned more than $40 million more globally in one weekend than Mad Max: Fury Road did in its entire run, and will likely continue to make money. 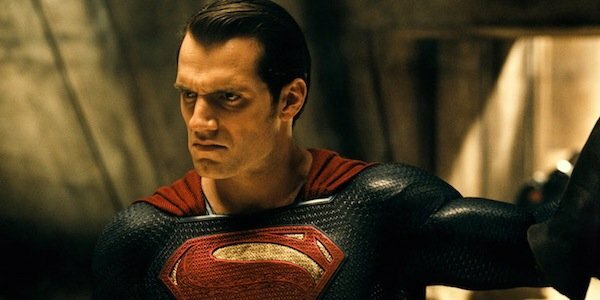 But Forbes crunched the numbers and Batman v Superman went from an $82 million Friday to a $37 million dollar Sunday, a drop off of 55%, which is a seven percent steeper decline than the previous record holder in this realm, last summer’s Fantastic Four, which fell 48% over the course of its first weekend. These are, obviously, vastly different cases. Fantastic Four was a straight-up bomb on every level. This is far from a deathblow for Batman v Superman: Dawn of Justice, and there are a number of factors that could have figured into this decline. First, there was so much advance anticipation and hype that pre-sales were through the roof, breaking superhero movie records for ticket seller Fandango, which may have inflated the opening day numbers. Also, with Sunday being Easter, it’s possible some potential audience members stayed away due to other obligations. Still, even with the holiday, Dawn of Justice experienced a sharp 38% drop off from Friday to Saturday. A better comparison for Batman v Superman: Dawn of Justice than Fantastic Four may be Avengers: Age of Ultron. Marvel’s big superhero team up did $84.4 million on Friday and dropped to $50 million by Sunday, for a 40% decline (fifth among superhero movies). That movie did go on to make $1.4 billion worldwide, so Dawn of Justice will likely be fine and you won’t need to shed many tears for Warner Bros. and DC. Still, Forbes is quick to point out that superhero movies that don’t maintain their hold over their opening weekends tend to fall off quicker at the box office. With harsh critical reviews and an audience score that steadily declined over the course of the debut run, some question the legs Batman v Superman: Dawn of Justice will have in theaters, predicting a more modest haul in line with the likes of Iron Man 3 rather than The Avengers. We’ll have to wait and see how this all plays out and impacts the performance Batman v Superman: Dawn of Justice. While it will still be a hit (it already is), this could indicate it may not be as massive as hoped.